As soon as my fourth grader got a taste of breakfast pies, it turned into her favorite breakfast. One day as she was sitting eating one, inspiration seemed to strike her and she turned to me and while pointing to the pie irons said: “could you make a pizza pocket in those?” And of course I had to answer yes! I gotta tell you – this is a quick and easy way to get a pizza fix in a hurry. These came together and cooked in about 15 minutes. Plus, they have that outdoor camping flavor that is so wonderful! 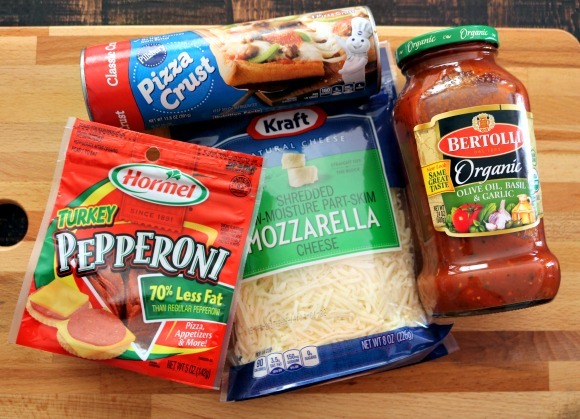 This recipe makes enough for four pizza pockets. They are very filling so I’d say about one pizza pocket per person is a safe bet. I stuck with a very generic pepperoni version (per my daughter’s request), but this can be customized just like any other pizza. The sky’s the limit on what you want to put inside these! About the only thing you’ll need to do before you leave home is shop for your ingredients. As long as you buy shredded cheese – this is strictly an assembly recipe. Campfire cooking is best done with a mature wood fire or charcoal fire. Mature means red hot coals from wood or white hot briquettes from charcoal. So, the first thing you should always do is get that fire lit. 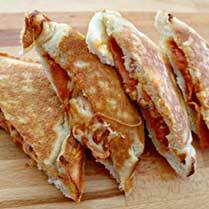 Propane gas is also an easy and quick way to grill these pizza pockets. 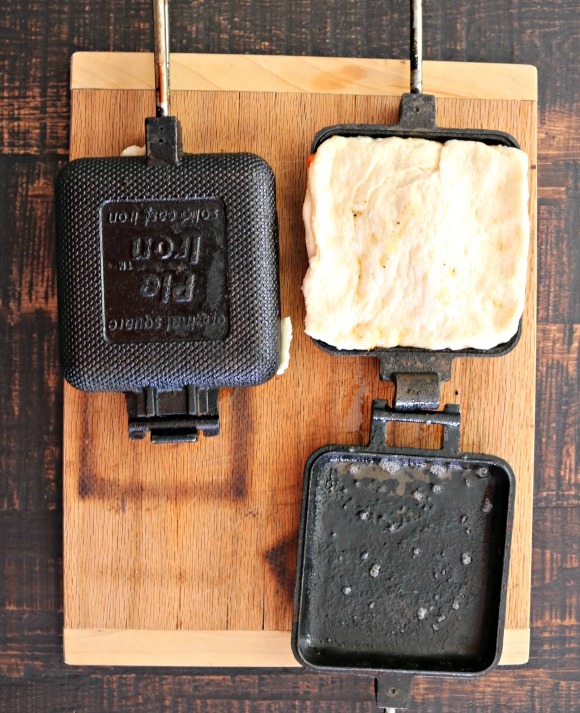 In addition, pie irons need to be hot before you place your pizza pockets in them. 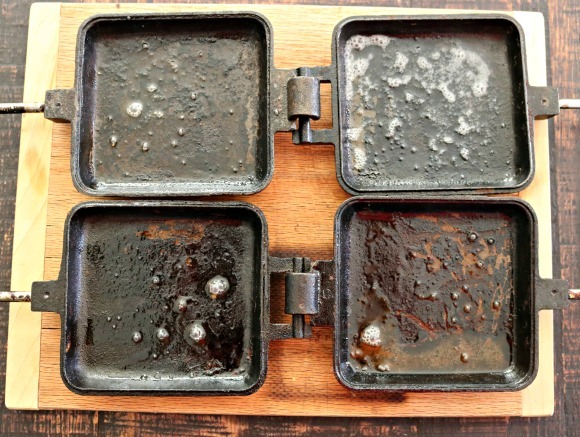 Once your fire has been going for a little while – feel free to place the pie irons down in it to get them preheated. 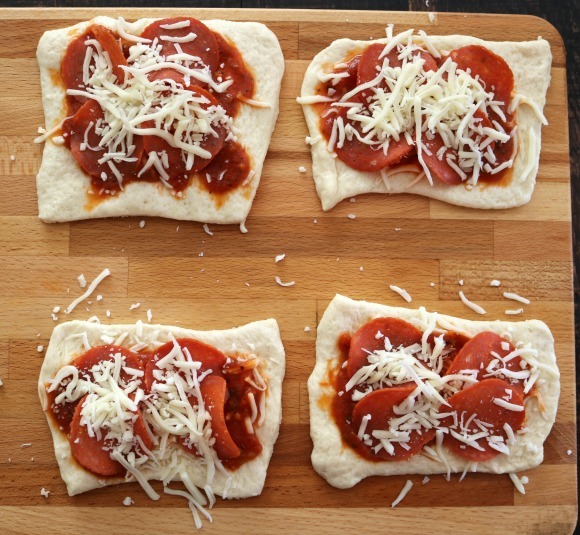 If you opt for the prepared pizza crust – all you have to do to prepare the crust is to lay it out flat and cut it into squares. 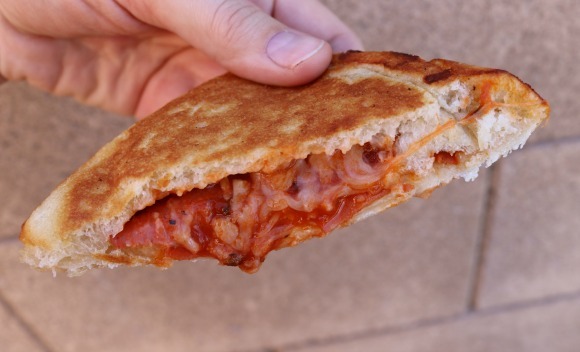 You’ll need a top and a bottom piece of crust for each pizza pocket. As you can see from the picture below, it doesn’t matter if the squares you cut aren’t that perfect. 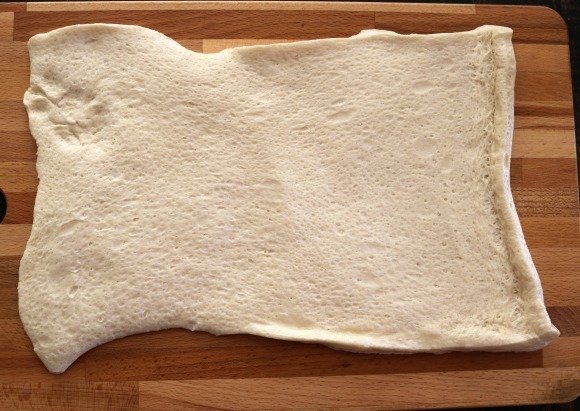 Pizza crust is very forgiving and can be reshaped (even as late as when you’re loading your pockets into the pie irons). 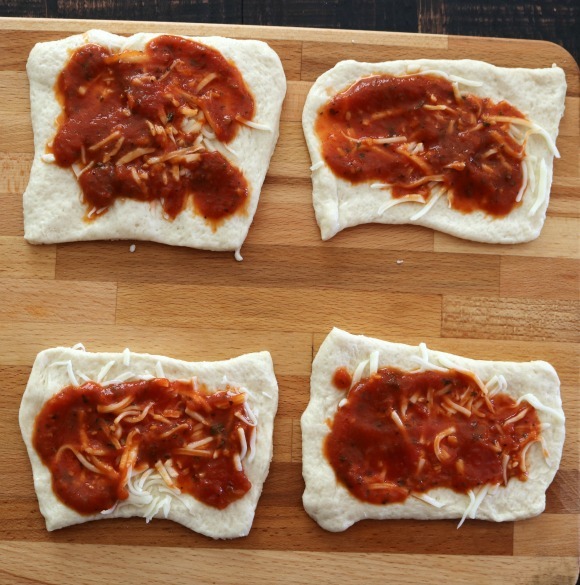 Much like making a regular pizza – the trick to these pizza pockets is to layer your fillings. 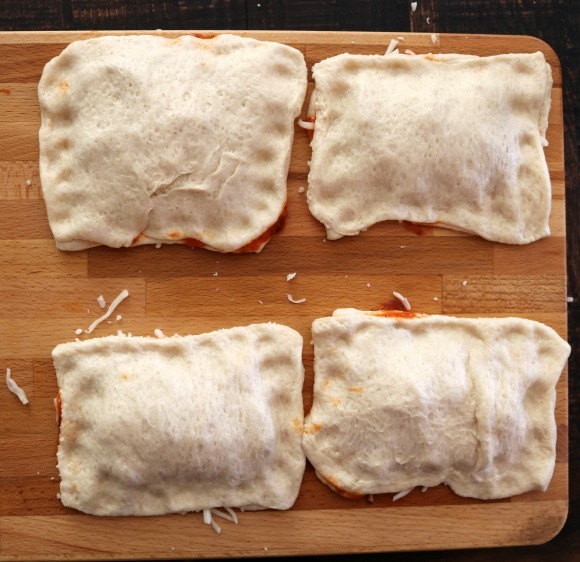 Using half of your prepared crust pockets (I had 4 since my total number of squares was 8) – sprinkle a little mozzarella cheese on each. Next, I added about 2 tablespoons of spaghetti sauce on each square. 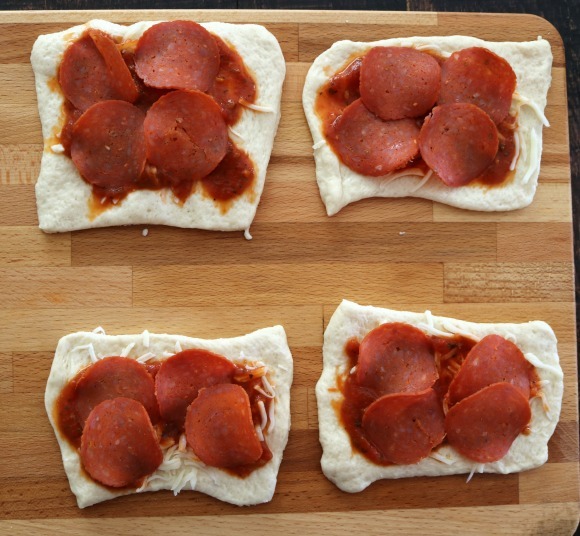 Then, I layered four slices of pepperoni on each square. I went with turkey pepperoni because I like the flavor, but use whatever you like best. Next, add another sprinkle of cheese on each pocket. 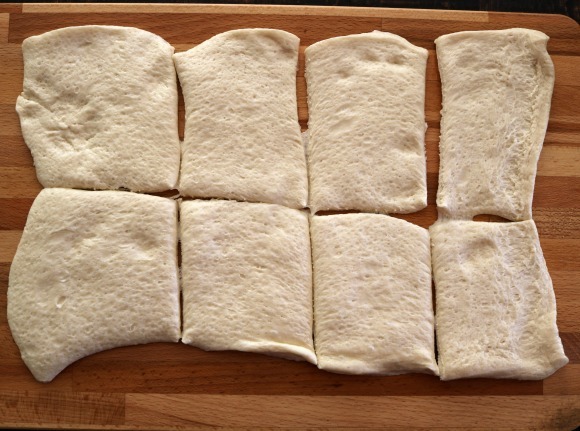 Finally, take the other crust square and place it on top of the fillings. Using your finger or a fork – gently push down the edges on all four sides to seal those fillings inside the crust. Do this gently or you’ll force the toppings out the sides. Now, you’re ready to cook! 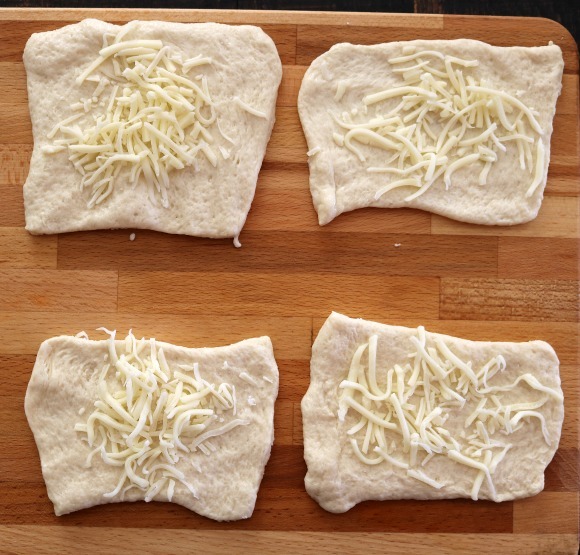 Take your preheated pie irons out of the fire and add a bit of butter so your pizza crust doesn’t stick. If they’re hot enough – that butter will melt instantly. Next, carefully place the assembled pockets into the iron and close them up. Make sure you secure the latch so that the pocket is firmly sealed inside. You should start to hear sizzling right out of the gate. Also, feel free to use that butter knife and carefully slice away any extra dough that may have smooshed out of the pie iron. You’ll thank me on the cleanup end of this recipe. Cook for approximately 3 minutes on one side, and then flip. Cook for another 3-5 minutes (checking for doneness at the 2 minute mark). You’ll know they’re done when you see a delicious golden brown crust. 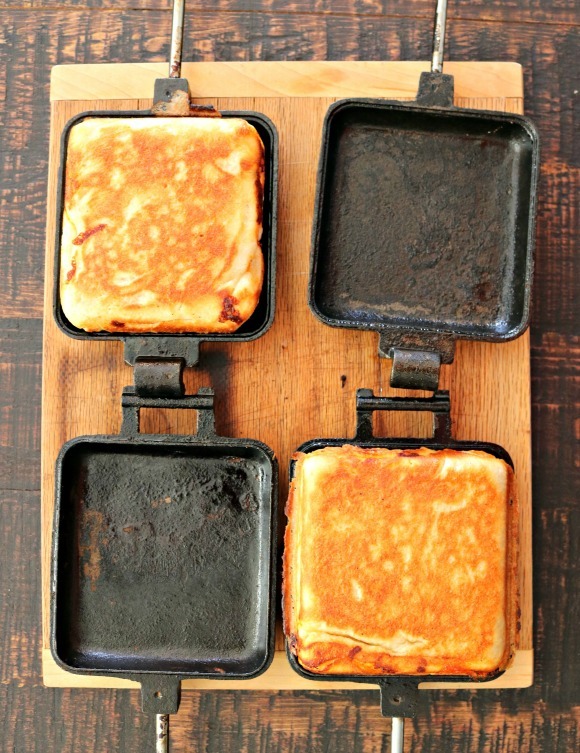 Once fully cooked, remove them from the pie irons and flip them onto a plate or cutting board. They’ll be HOT so be very careful! And you’re ready to dig in! 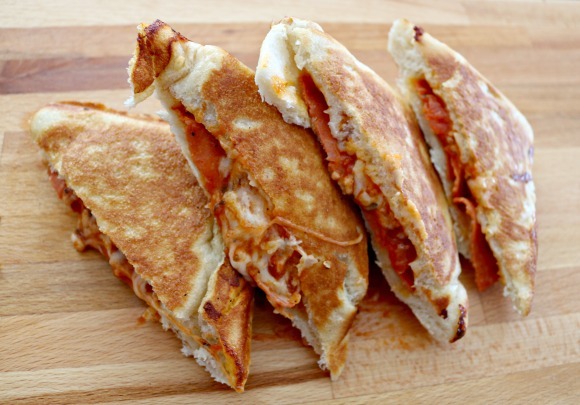 They taste like a little tiny calzone that you cooked outside. Delicious! 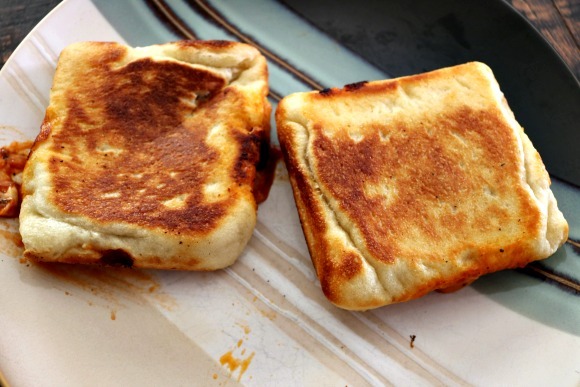 We’ve made these for years with just white bread instead of dough. Works great.